This 30-year-old reminiscence remains pertinent. News continues to be disingenuously distilled, public opinion keeps being manipulated, reality is still relentlessly downplayed in our environment of chronic intellectual indolence, and truth is ever-disdained as a moral virtue. Now as then, we voluntarily submit to Through the Looking Glass reflections, where everything is guaranteed to be nothing like the ostensibly clear and recognizable images before our eyes. The suitcase bomb story was unabashedly amplified in most media by reporters congratulating themselves as freethinkers. Their sort still proliferates and still, despite hype to the contrary, relishes the bon ton. Self-professed nonconformists still conform shamelessly. Indeed, if anything, challenging the conventional, cloying and kitschy groupthink is more unlikely today than back-in-the-day. It almost doesn’t really matter who in fact smeared offensive invective in Jaffa’s Muslim cemetery. The Left leapt at the opportunity to ascribe the defacement to “far-Right elements,” which instantly inspired a host of tendentious scribblers and broadcasters to outdo each other in denouncing the outrage. It was the Sarid suitcase incident all over again. Doubting was politically incorrect, and skepticism was deemed a grievous ethical lapse. Jumping to conclusions was the imperative – regardless of anti-Russian slurs accompanying the anti-Arab ones, to say nothing of soccer-team slogans. But while we genuflected in contrition for the supposed collective sin of our people, apathy continued to reign supreme regarding the daily desecration and despoilment at the incomparable 3,000-year-old Jewish cemetery on the Mount of Olives – the oldest continuously used cemetery in the world, where many of this nation’s legendary greats are interred. Tombstones are vandalized and living mourners are attacked repeatedly, but decrying daily predations by Arabs is judged fundamentally unenlightened. We won’t even mention the recurrent devastation at Joseph’s Tomb in Nablus, or even the utter destruction by nearby Arabs of Kibbutz Merhavia’s old graveyard, where remains of some of the first pioneers of Zionist socialism were virtually dug up. That’s dog bites man. It’s frequent and expected. The same can be said about the fatal car crash of Asher Palmer and his infant son Yonatan. At first, knee-jerk impulse pronounced this a traffic accident. The driver, the populace was told, lost control and overturned. Only later was it admitted that a huge rock, propelled from a passing vehicle, knocked Palmer out and sentenced him and the baby to death. Afterward, the Arab serial-assailants rummaged through the wreck and stole Palmer’s gun. None of these revelations shocked public opinion too drastically. Dog bites man again. The way of nature is for Arabs to slay Jewish tots. Were a stone hurled by hypothetical Jewish perpetrators to claim Arab lives, this country’s media would rock the planet with thunderous vehemence. But we inhabit a strange part of the globe. A surreal logic prevails in our midst. Therefore, it’s perfectly reasonable – or so it seems – for Israel’s defense minister to apologize to Egypt for the shooting of five troopers during clashes triggered by a murderous terrorist incursion through Egyptian territory. Cairo wasn’t required to apologize for the languor and laxity (if not outright ill-will) that facilitated the infiltration of Israel and the massacre of Israeli civilians on the road to Eilat – literally under the noses of Egyptian patrols. We expect assorted aggressors around us to place immense importance on national honor, to which we feel obliged to kowtow. Yet we, prudent and pragmatic by our own perceptions, forgo even a modicum of respect. In our unforgiving region, this can only be interpreted as wretched weakness, and the wretchedly weak have no honor and may, therefore, be further trampled upon and debased. Weakness invites abuse, while nothing meted out to the despicable loser justifies retribution or even nominal self-defense. By Arab/Muslim codes, Israelis have no right to stick up for themselves, pursue heinous mass-murderers, try them (according to our uber-pedantic due process) and incarcerate them. Hence it was perfectly legitimate to nab Gilad Schalit, hold him for ransom and swap his freedom for the release of homicidal sadists. And in our erratic environs, we – all of us potential victims of emboldened veteran and up-and-coming terrorists – are euphorically mesmerized by the child’s homecoming (the “child” being both an adult and a soldier). We imbibe the fashionable diktat of the thought police. Its power was sufficiently pervasive to chip at Binyamin Netanyahu’s resolve. 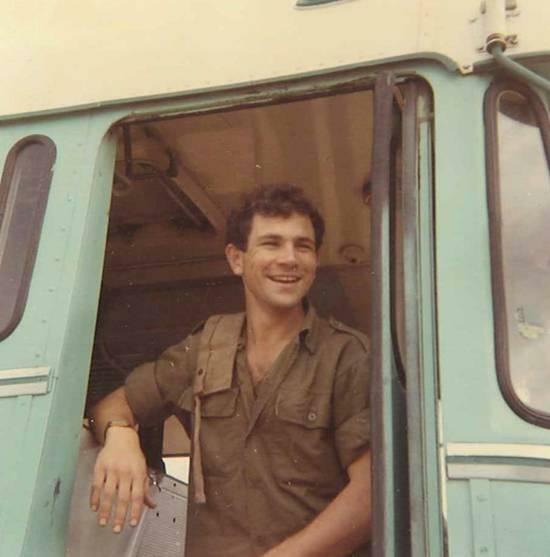 Our prime minister habitually pays homage to his brother Yonatan, who in 1976 gave his life to rescue 105 Israeli passengers held hostage in Entebbe. In the end, however, no matter how sincerely we sympathize with Netanyahu’s discomfiture in the face of cynical demagoguery, there’s no escaping the realization that Bibi betrayed Yoni. If it’s okay to barter for the freedom of hostages by setting loose hardened terror masterminds, then wasn’t Yoni’s sacrifice in vain? Israel could have paid off yesteryear’s hijackers and spared Yoni’s life and the lives of three passengers who didn’t make it. 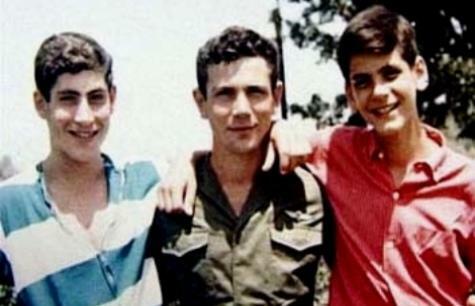 Each of the two elder brothers Netanyahu embodies a different approach. Yoni paid the ultimate price for the principle of not negotiating with hostage-takers, not paying them ransom and not turning their malicious machinations into tangible triumph. Bibi has now come out – no matter what his excuses or excruciating political duress – for the principle of negotiating with hostage-takers, paying them ransom and turning their malicious machinations into tangible triumph. It may be heretical to say so, and it certainly departs from the all-consuming conventional, cloying and kitschy groupthink. But to cheerfully run with the pack and succumb to self-deception is akin to unquestioningly selling out and falling for the Sarid suitcase calumny because that – as distinguished from critical assessment – was the expected proper tack. what can be done to restore some sanity to Israelis, stuck surrounded by insanity and evil? It is the ghettoization of Israel. Jews got a country in Israel, they thought, but to the world it was just a license to set up a self governing Jewish quarter in “Palestine”. Israel must be a country with citizens who understand their obligations to its security and uphold the Jewish beliefs that bind them together. And the rest of us must stand up for this small country’s right to defend itself and police its own security and show encouragement to its people when they stick up for themselves and not internalize aggression against them. “I was taken to task for not toeing the party line.” For every immigrant from Communist Eastern Europe this sounds eerily familiar. Let’s just write Party, with a capital letter, to avoid trouble. Well said daughter of Zion. May the good Lord watch your back because the wretchedly weak grasshoppers of Israel love their delusions and lies above all and see you as a much greater threat than the murderers of Jews for allah. May your shining the light of truth on these roaches cause them to scurry back into the darkness like their jihadist patrons of death they never cease to worship and serve. Strength and resolve against all outside enemies is called for. To capitulate to terrorists, who themselves are tools for other factions and individuals with alternative agendas, is short term expediency with long term misery for Israel. Israel will only be respected and left alone when it shows strength and unity and fights back. The employment by Israel of western philosophies of fairness and goodwill to others is a wasted gesture. The enemies of Israel do not understand it or co-operate with gestures and laugh at Israel. These terrorists believe them to be ridiculous signs of weakness and capitulation. There is persuasive argument that Israel should have told the Arabs that reciprocal measures x 10 would have been employed against murderers and terrorists had Gallit been executed. It really is time for Israel to consider an instigation of the death penalty and for the appeasing Israeli politicians to read our history. Appeasement doesn’t work. Netanyahu should have read Chamberlain’s success prior to making his “GALLATarian gesture. How much of this thinking and feeling is homegrown and how much of it is internalised out of the insane pressure, coming from outside foes and “friends” ? A clear victory for Hamas. But for once, they did not receive applause from the Europeans. Even for them, perhaps, the treatment endured by Gilad was too disagreeable. Can one believe that the Israelis, seeking Gilad’s release for five years, could not have kidnapped a single Hamas leader to strengthen their negotiating hand? Does Israeli honor now require that they release to rest of the prisoners? And what is the Israeli reply to fresh Hamas threats to abduct more Israelis soldiers? what the SS would have done. Does anyone know how to alter the thinking patterns that pervade the left? The knee-jerk reaction to anything that happens is that we Jews are in the wrong. The same (Jewish, alas) minds that declaimed that the Jews marched to the slaughter like lambs, accuse us of mistreating those who insidiously invade our lives, constantly provoking, Somewhere there has got to be someone that shines light into dark corners. terefore I might be a bad commentor. In fact Guilad Shlit deserved his freedom. In fact Israel could also protect hs soldiers better using “nano” electronic devices in them to track were they are hald prisioners and make a rescue easier. In fact Irael coud have kidnaped an Hammas leader to inforce the negociations instead of freeding more than 1.000 criminal. On what concerns the brave Yoni Netanyahu . But Bibi was not the Prime Minister at the time. So I guess we cannot blame him for the difference amoung the policies used in 1976 and the ones the Benjamin practicises now. However I guess the ISRAEL SHOULD BE ALLWAYS VERY, VERY CAREFULL AND TAKE THE NECESSARY STEPSFOR ANY GENERAL ATTEMPT AGAINST THE COUNTRY, NOW THAT TURKEY HAS ALSO BECAME A DANGEROUS ENEMY, AND WE STILL DON’T KNOW WHAT IS COMING OUT FROM THE NEW EGIPT AN LIBYA. Following me text above, and the idea of Benjamin Netanyahu is or has betriaed the memory of his brother Yoni, killed in Entebbe, it remainds me of an episode of he Portuguese History. Portugal was the first European country fixing its borders on the 14th Century. Portugal, part od Sefarad, had its borders at North and East with Spain, and the natural border of the Atlantic Ocean at West and South. There was no other possiblility of expanding the country. So the Discoveries began. But, before that, Portugal decided to fight the Moors in the North of Africa, for religious reasons and also because the Moorish pirates were attacking the villages on the Portuguese Coast. So the Portuguese King ordered to prepare a fleet and the Portuguese soldiers at the time, (middle 15th Century) attacked Ceuta and Tangiers. Eventually they went further inside the Moorocan land, and there were some battles. In one of them, the Portugueses were defeated. The only possibility to return to Portugal was by leaving an hostage to the moors. One of the sons of the Portuguese Kind was kept as prisioner against a sum that Portugal had to pay to them. The ther sons of the King left his brother has prisioner. His name was Fernando. Portugal never paid the ransom, and Fernando died, in great pain abandoned by his fether and brothers. Its one of the worst parts of the Portuguese History. We will we ever know who put on fire in the Touba-Zangarya mosque? Can it be that these are the same “youngsters” who burnt the cultural center and the local council building? No, it is impossible. It is politically incorrect. I’ve looked through Sarah’s archives to re-read a few of the articles that she wrote about the Schalit situation, such as ‘Queen for a Day,’ ‘Kitsch Can Kill’ and the like. That all the warnings based in decency, common sense and indeed past tragic experience about not giving in to terrorists’ unreasonable, entitled and exhorbitant demands has culminated in this release of 1000+ convicts is numbing. I cannot imagine what it is like to be subjected to the types of pressure that Benyamin Netanyahu is, from allies of varying firmness of support such as the US and the EU, to domestic political rivals who stir up animosity both at home and in international newspapers and magazines. I noted that in Canada, a country that is possibily Israel’s staunchest foreign friend at this point, the national news coverage referred to Schalit as a ‘captured’ soldier as opposed to ‘kidnapped’ one – a shade of lexical meaning that carries an enormous weight within. I do not envy anyone who has to have their private tragedies played out in the press, but it would seem that Sarah’s analysis and observation that ‘Bibi betrayed Yoni’ is one that has to be painfully dissected in Israel, as it is a metaphor for two sides of an excruciating question of what price one life. There was never going to be a right way to resolve this, but I can’t help feeling that one of the wrongest ways was chosen. We are a sick people, in need of colective therapy. If anyone invents a pill to treat self-hatred, we should put in the water, like flouride. Maybe then we will be able to behave like a normal, self-respecting nation.